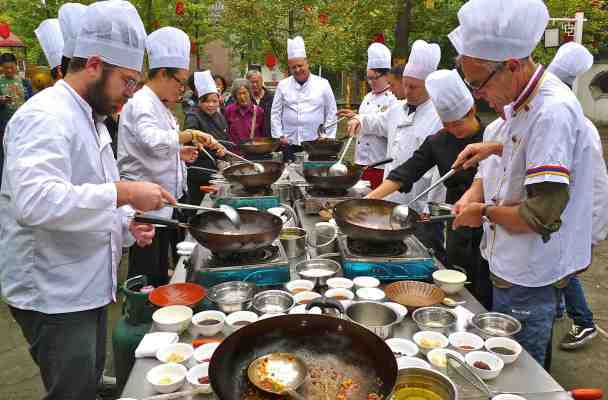 In October, I took another group of adventurers on a gastronomic tour of China, from Beijing, through Xi’an, Chengdu and Hangzhou, to Shanghai. It’s always a delight, for me, to see everyone expanding their food horizons in ways they perhaps hadn’t anticipated. 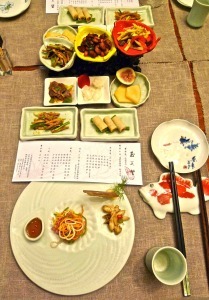 In particular, I’m happy when guests really begin to appreciate the importance of texture in Chinese cuisines – and, in many cases, to positively enjoy eating delicacies such as sea cucumber and goose intestines, which are largely incomprehensible in terms of European/American gastronomy. If any of this year’s guests are reading this post, thanks again for your openness and enthusiasm! 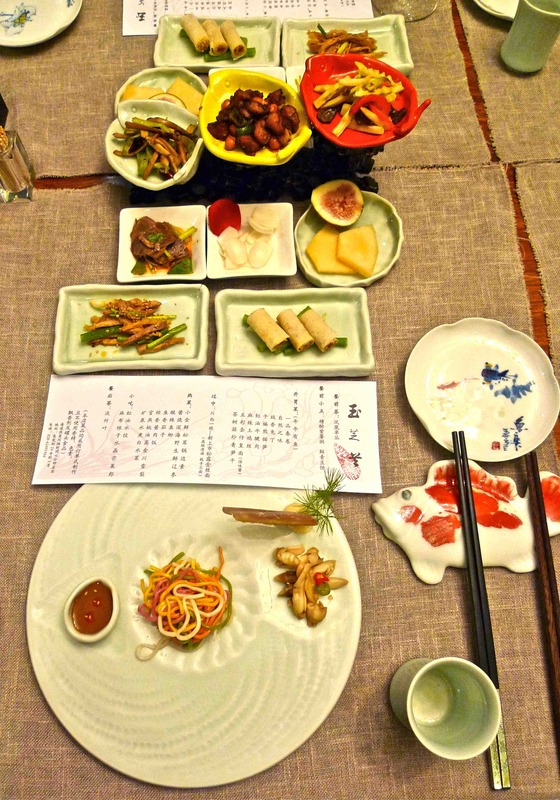 After the main tour, I spent a week in Yunnan on a reconnaissance mission for next year’s inaugural Yunnan food tour. Both 2015 tours are already sold out, but I believe WildChina will be opening bookings for 2016 in the next month or two. ha ha! Made it onto your blog. Thanks for a great trip Fuchsia! It was a pleasure, Tim! Glad you enjoyed it! P.S. Mei – I can hardly argue that my eating adventures are a matter of endurance as much as curiosity and delight – although, as you will know, adventure always requires a certain amount of hazard! Just finished your Shark Fin and Sichuan Pepper memoir and subsequently had to purchase Sichuan and Hunan cookbooks. I look forward to pouring through their pages and enjoying true Chinese food… If it works out I’ll try some of the recipes on my friend from the Hunan Province to see if it reminds him of home! So thank you for your contributions to culinary preservation and exploration! Finding out you do tours as well is exciting! And Pat, you can use Sichuan pepper oil in dressings for cold salady-type dishes, in place of ground roasted Sichuan pepper. Could also be nice on noodles. My wife and I would love to be included in your 2016 trip. Hope you will keep us updated. Hi William – please contact WildChina for information about the 2016 trips. Perhaps I will meet you and your wife next year!